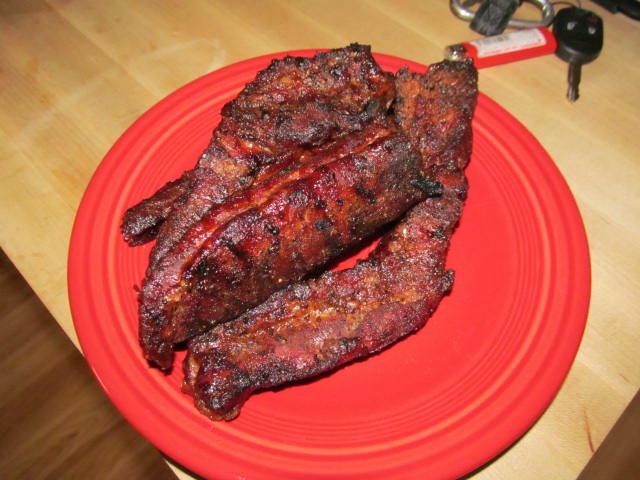 Personally, I have never made what I consider to be a perfect rib. Thinking back, I don't think I have ever had one. I have had close, but never 100% spot on greatness. 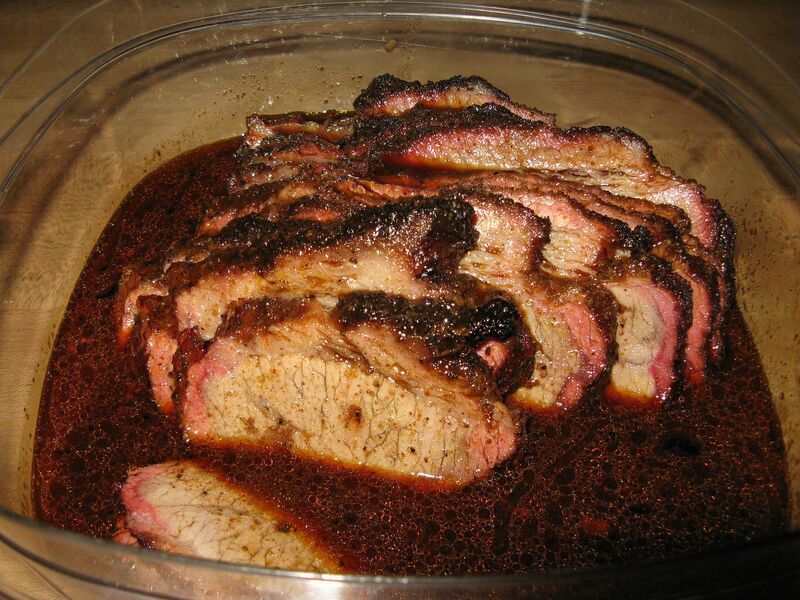 For our KCBS rib entries this year, we started out with something a bit on the spicy side. We paid for that choice in Rochester this past May. Everyone says, judges like sweet, sweet, sweet. Did I mention sweet? So, it was back to the test labs to fine tune the recipe. 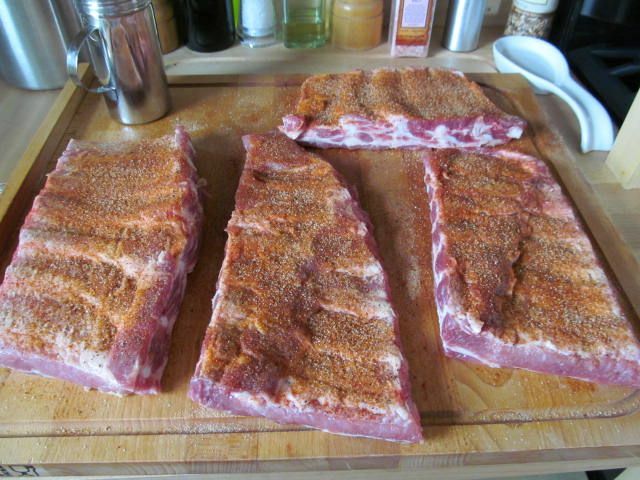 First, I picked up some spare ribs from my butcher, pulled off the membrane from the back, and seasoned front and back with Oakridge Secret Weapon Pork and Chicken Rub. 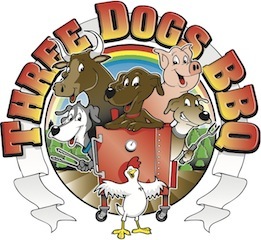 This is a switch from their Beef and Pork Rub. While I like the Beef and Pork version, it leaves a tingle on the lips and tongue that judges are not used to receiving in competition. 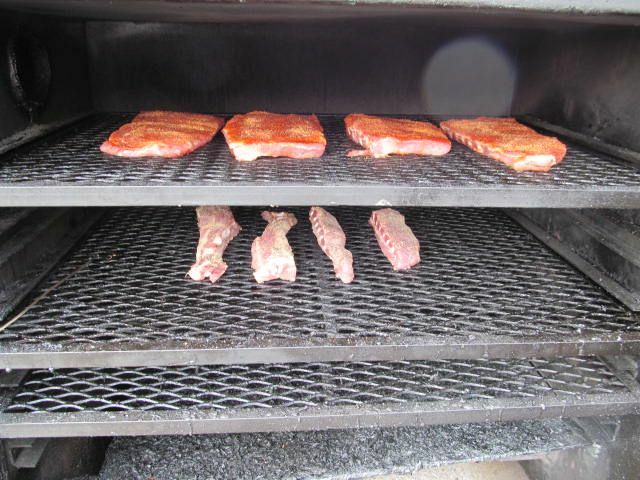 I then placed the ribs on a 235 F smoker with apple, hickory, and pecan in the ash pan and cooked for three hours. 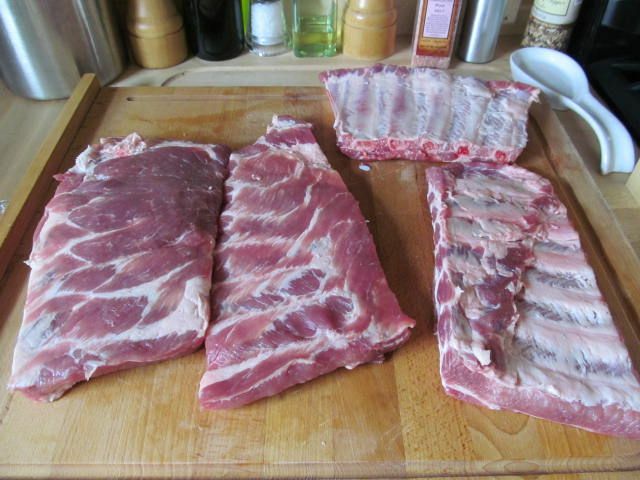 The rib tips were just seasoned with granulated garlic, onion powder, salt, and pepper and cooked for some tasters. 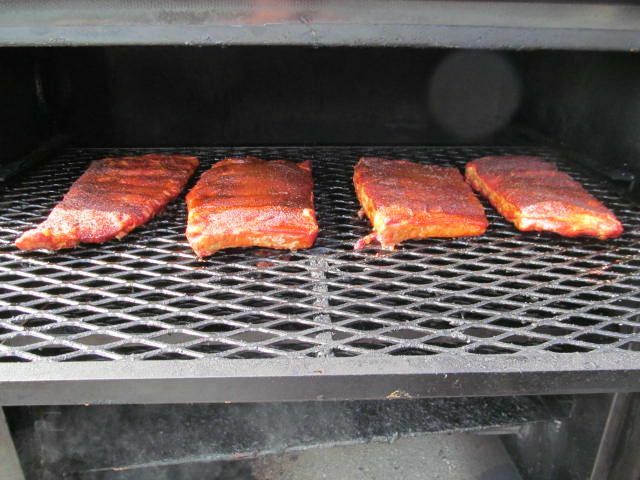 After 1.5 hours, I spritzed the racks with a mix of apple juice and molasses. What was the ratio? I placed 1/4 cup of molasses in a 1 liter spray bottle then filled to the top mark with apple juice. Rib tips all ready for the freezer. These are destined for a pot of beans or collard greens! 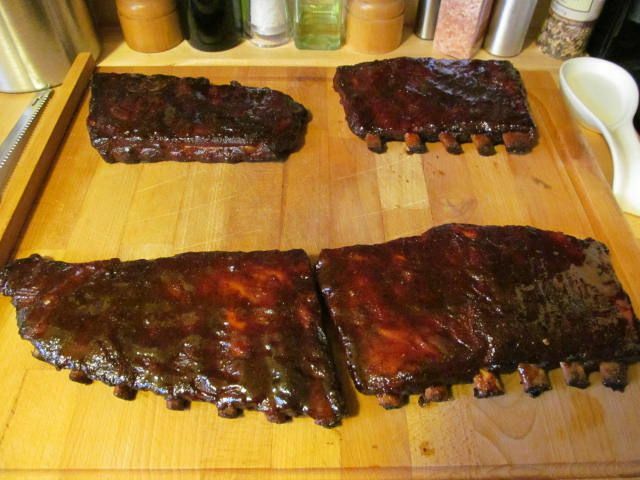 I foiled the ribs after three hours with a healthy spritz of the juice and molasses mixture and about 1/8 cup of Franks Sweet Chili sauce. The ribs were in foil for 1 and a half hours. Then, I pulled the racks out of the foil and applied a dusting of rub and a thin glaze of sauce. What did I use for a sauce? 1 cup of Blues Hog regular, 4 Tbsp of Blues Hog Tennessee Red, 1/3 cup of honey, 1/4 cup of apple juice and 2 Tbsp of turbinado sugar. After 30 minutes, I reglazed with a very small amount of sauce. After 30 more minutes I pulled and let the ribs sit for 15 minutes before slicing. How were they? So sweet that my teeth hurt. I had two, Hope had one. But, everyone else sucked them down. We were down the clean bones in 15 minutes flat. Overall, I think they were way too sweet. Even for a judge. But, remember, a Trigg style rib sits in squeeze butter and brown sugar to make them candied. That being said, for our next competition, we will be using the above recipe, minus the 2 Tbsp of turbinado sugar in the sauce. One final note, the apple juice/molasses mix helped to make a nice, deep colored bark without an overpowering molasses flavor. 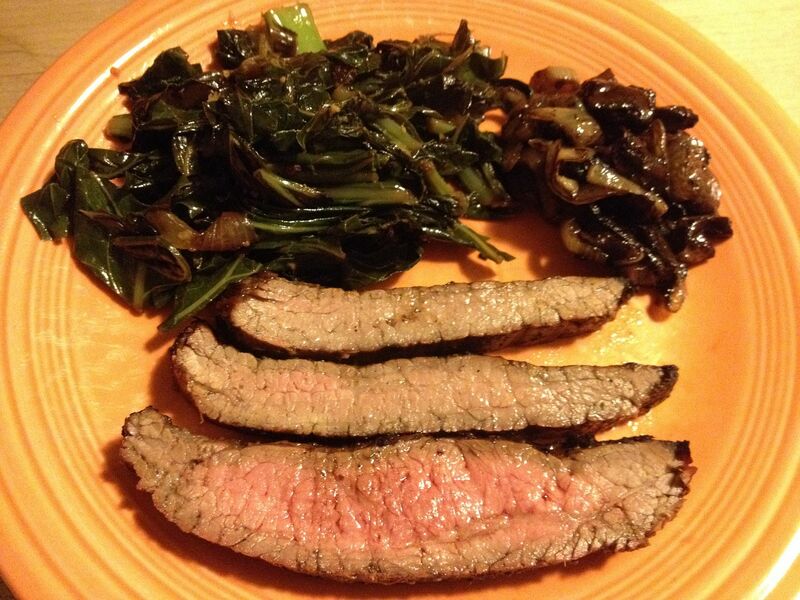 More on how we scored with the new recipe later in the week. I do come across a lot of Blues Hog sauced entries. This last weekend my first rib had possibly cayenne in excess. I love heat but not at competitions. My mouth was on fire. It was not really fair to my next entry because my tastebuds were dulled because of the peppers. I think balance of all the components is a goal. The journey for the perfect rib is what it is all about. I agree with the balance theory. It all has to come together.